Today we went to Orewa beach in Auckland, New Zealand, and it was covered in tiny jellyfish. They were translucent with a small red organ at its center. We brought some home to study. 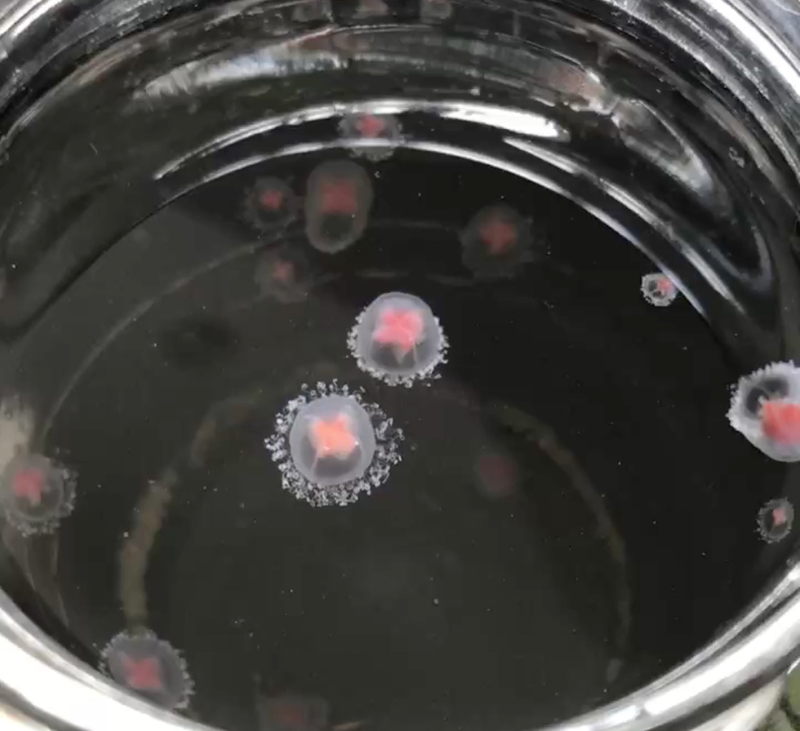 We did a Google search and we think it might be Turritopsis nutricula or Turritopsis dohrnii, known as "Immortal Jellyfish", because on reaching maturity, it regenerates into its younger form, so appears to be immortal.